Canada’s geospatial community received a significant boost today with the signing of a 1.5 year funding contribution agreement with Natural Resources Canada. GeoAlliance Canada, a national non-profit umbrella organization, received this funding in support of their mandate to provide essential leadership within the geomatics, geography and geospatial sector. GeoAlliance Canada was launched in April 2015 by the consensus of community leaders who recognized the potential for a national organization to fuse together the energy and resources being expended by a highly fractured sector. By coming together under one umbrella, diverse groups within the geospatial community are able to network and collaborate on projects of mutual interest. Through the engagement of key groups and organizations, GeoAlliance Canada has begun to articulate and promote the benefits of using geospatial data and tools for effective decision making to leaders within business, government and education circles. The contribution funding from Natural Resources Canada will have an immediate impact by providing essential operational resources for this fledgling non-profit organization. We wish to thank Natural Resources Canada for their ongoing support for initiatives promoting the use of geospatial data, tools and technologies in Canada, including the Canadian Geomatics Community Round Table and now GeoAlliance Canada. The funds released under this contribution agreement will support GeoAlliance Canada over the next year and a half as we work to engage the geomatics, geography and geospatial communities. We will draw from this significant resource to increase Canadians’ understanding of the role of “geo” in our economy and day to day lives. We look forward to working with our member organizations from the business, non-profit, education and government communities to drive forward projects that celebrate our long history of innovation in this sector and re-establish our leadership position on the world stage. 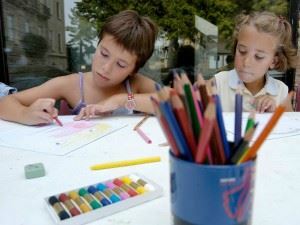 GANS would like to announce that we have started a Creative Art/Map Competition for Nova Scotian Students. The contest is open to students in all grades from primary to grade 12 as well as post secondary students. It is meant to help engage students in artistic cartographic activities while encouraging them to learn more about the geography, heritage and history of Nova Scotia. And at the same time promote Nova Scotia to the world and have some fun while doing it! Did you know that Geomatics Atlantic 2015 is part of the 9th Symposium of the International Society for Digital Earth? Geomatics Atlantic is an annual regional conference that has been hosted by GANS & CIG Atlantic Chapters for the past 25 years. The event originally started out in the 1990s as workshops that addressed gaps in communications between the geospatial community of various different departments and geographies. Those workshops focused on what the future of the geomatics sector would look like and how we would get there. The workshops latter expanded into larger conferences with outside guests from industry and academia being invited, raising the level of discussions. Geomatics Atlantic then started to include exhibit halls for vendors and moved from city to city, rotating around the Atlantic region instead of being hosted in the same place every year. Each participating organization would take their turn hosting the annual event as it rotates through the Atlantic provinces. This year it was GANS turn to host Geomatics Atlantic here in Nova Scotia, and traditionally it would have been held during late spring. However a rare opportunity to co-host an International Gala Event came up so GANS has partnered with the 9th Symposium of the International Society for Digital Earth and Geomatics Atlantic will be held in October. In 2 weeks from now scientists, engineers, technologists, managers and the geospatial community from around the world will come together in Halifax to share concepts, research findings, technologies, and practical applications. We all know that Canada is in the forefront of research and development in the fields of geomatics, geospatial research, and environmental monitoring and Nova Scotia has a large cluster of agencies and institutions related to geomatics, digital technologies, and the environment, with regional and specialist agencies of many government departments, and world-class research at local universities and colleges. A preliminary program summary for the Digital Earth / Geomatics Atlantic 2015 is available with suggested Atlantic Canada sessions highlighted. There will also be a Ceilidh hosted on October 8 to celebrate the International Year of Mapping and will feature fine Nova Scotia food, drink and entertainment, as well as very special guests who will share their stories and vision for the Blue Planet. Registration fee for GANS members is $450 for the 5 day event, see http://digitalearth2015.ca/registration/ for more details & to register. Save-the-Date for the Land Registry Forum! The Association of Nova Scotia Land Surveyors (ANSLS) and the Geomatics Association of Nova Scotia (GANS) are pleased to announce that they will present a one-day Land Registry Forum on Wednesday, November 18th. This open forum will be of interest to land surveyors and other geomatics professionals, as well as the community planning and development sector, financial services sector, the legal profession, the real estate sector and others. The registration fee is $150 for the full day event and includes lunch and refreshments. An exciting line-up of speakers and panel participants, from Nova Scotia and beyond, will be featured. Additional information and registration will be posted on the ANSLS http://www.ansls.ca/ and GANS http://www.gans.ca/ websites by the end of September. Save the date NOW! In 2015, GANS introduced its Award of Distinction to honour an individual or an organization having made an extraordinary contribution to the geomatics sector in Nova Scotia. The inaugural Award was presented at the GANS Annual General Meeting, in June 2015, to Dr. Jason Bond, Coordinate Control Officer, Service Nova Scotia and Municipal Relations. Dr. Bond was nominated for the award by the Association of Nova Scotia Land Surveyors (ANSLS). The GANS Board of Directors voted unanimously in favour of accepting the nomination and approving the selection of Dr. Bond as the award winner. The nomination read, in part, “Dr. Bond has been the driving force behind the design, installation and completion of the Nova Scotia Active Control System (NSACS). The NSACS is an important step for the Province to have taken toward our geospatial future and puts Nova Scotia at the forefront of GNSS technology and Provincial coordinate referencing systems. This achievement demonstrates his innovation in that he planned and led the process to install active GNSS base stations across Nova Scotia that will enable the geomatics community to prosper for years to come. Moreover, this advancement has led to real time corrections to GNSS observations being available to user groups, including the ASNSLS and other user groups across the province. Dr. Bond personally drafted business cases, held working group meetings, consulted industry and stakeholders. He acquired the necessary funding to create the NSACS while overseeing its design and implementation. On behalf of the Board of Directors and the entire membership if GANS, it is pleasure to recognize and congratulate Jason for winning the 2015 Award of Distinction! Congratulations to Alexandra Baird Allen, GANS Board Member and Senior Manager of Turner Drake & Partners' Economic Intelligence Unit. Alex has been recently awarded the designation "Member of the Royal Institution of Chartered Surveyors" (MRICS). Alex has led the implementation of GIS and data mining as an extension of Turner Drake's skills base; utilizing GIS to marry demographic, income and expense data with real estate databases to advise clients on the impact of changing demographics o their real estate portfolios. Seven very different, next-generation thinkers and doers who work, live and play in the Annapolis Valley region will gather to inform, inspire, motivate and entertain us. They have projects, dreams, successes and challenges -- stories worth sharing. Listen to our next-generation thinkers and doers and engage in lively discussions. Have you heard? 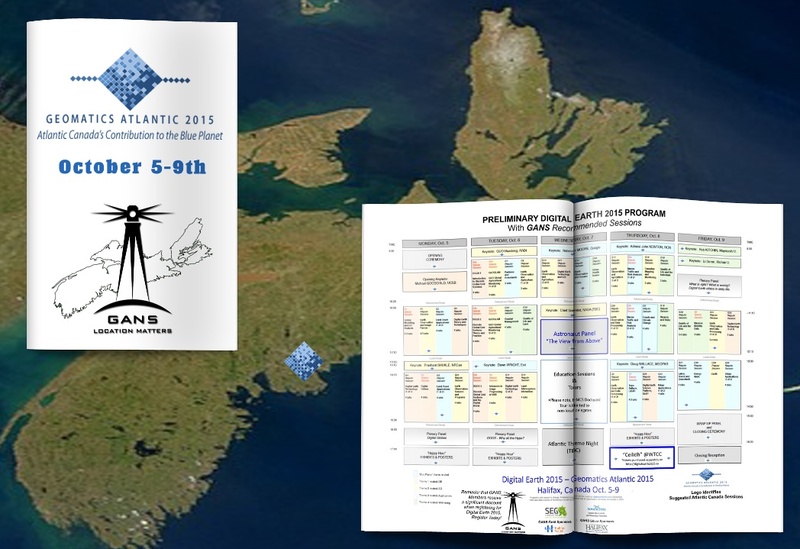 Geomatics Atlantic 2015 will be hosted AS PART OF the 9th Symposium of the International Society for Digital Earth (ISDE), being held this year in Halifax, from October 5 – 9, 2015. The best part is that Active GANS Members receive significant conference registration discounts - apply for GANS Membership today! As a GANS member, you will save $220 on early bird conference registration and $230 on regular conference registration. Additional discounts are available for students. Please visit the Digital Earth website for additional information and to register. 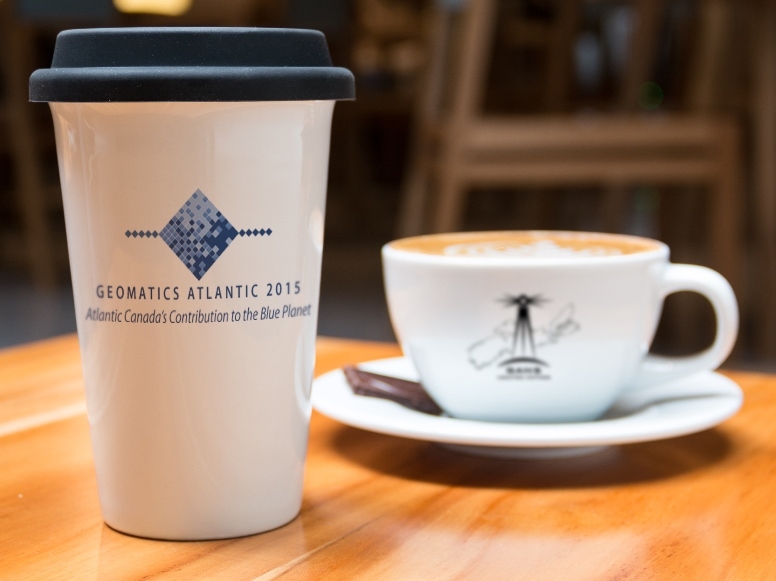 Geomatics Atlantic 2015 details will be available soon. GANS is pleased to announce that nominations for the 2015 GANS Award of Distinction are now open. This award is presented by the Geomatics Association of Nova Scotia to an individual or an organization having made an extraordinary contribution to the geomatics sector in Nova Scotia. Help us recognize these special individuals and organizations by nominating a member of the geomatics community who has significantly influenced our sector. Nomination forms are available on the GANS website - Forms available here. Nominations close Friday May 29th 2015 at 4:00 p.m.
Directors will not be permitted to vote for their own employees, organization, or client should they be nominated.